Home » Can we Believe That The US Will Leave Syria? On the subject of distrust of the "defenders of democracy" there is a whole host of skeptics. Their opinions are quite traditional. First, we are talking about 60-100 days of evacuation. During this time, a lot of things can happen that will allow the White House to give up the current decision with dignity. The second is the administration, the military will “correct” its president. Does anyone think that Trump wants to consolidate Assad’s power or increase Russia's presence in the region? Well, of course, the withdrawal of US troops from Syria will inevitably lead to precisely these consequences, which means that the president of this country - any president - can take such a step only if the political and geopolitical costs of this decision are less than the costs of maintaining the current status quo. Many competent analysts reflect on this topic. In general, they can be attributed to the cohort of "geopolitics". At least, they are trying to consider the situation in the complex, in its planetary relations and consequences. Analysts as a whole are proceeding from the thesis: the Americans did not turn out to redraw the map of the Middle East. They could not overthrow Assad and bring to power in Syria Washington-controlled "moderate" Islamists, propped up for their loyalty controlled by Washington as "unlimited" Islamists from the Islamic State. Afghan, Libyan, Yemeni scripts. For a reasonable person — and Trump is not foolish — it is clear that American failures in managing this scheme are not accidents, but a systemic, organic flaw. And Trump as a businessman (and this argument is repeated regularly) may well want to exchange an obvious liability in Syria for an asset, for example, in Turkey. Or rather, simultaneously in Turkey, Saudi Arabia and Israel. What should it look like? Simple enough. The Turks have a magnificent opportunity to continue to put pressure on their Saudi rivals after the epic failure of those with the murder of their journalist in Turkey - he is a member of one of the most elite families in the country. On the one hand, it is convenient for Washington - any geopolitical force is comfortable weakening not only its opponents, but also allies, but on the other, it carries too great risks. Too weakened Saudis lead to a weakening throughout the Middle East. And most importantly, a weakened Saudi Arabia is also weakening Israel, because the Jewish state has long been unable to maintain its security alone, despite all its Arab neighbors. Therefore, Israel is acting in the right direction with the help of the “soft power” of Riyadh. Thus, Turkey in its current state of tactical alliance with Russia and with compromising on the American ally in its hands weakens the entire pro-American geopolitical configuration in the Middle East. And there is only one option: at least keep the troops in the region, clinging to an alliance with the Kurds, with the Iraqis, with the Jews, with the Qatari, with the Saudis. But Trump intended to withdraw the troops! It is illogical. And dangerous. Why did he announce this? The answer to this question has that part of the "geopolitics", which is relatively versed in the intricacies of the Middle Eastern serpentarium. Let's call them "experts." The general meaning of what they are saying comes from the same situation with Turkey. What does Washington need from the Turks to eliminate all the negative? Two things: discourage them from Russia and re-establish their interaction with the desired US regimes. What can Washington do for the Turks for this? Give them more than Moscow gives. And generally give them what they want. And Washington just has two trump cards up its sleeve. The first is the enemy of President Erdogan, the preacher Gulen, whom Erdogan demands from America to extradite, as the author, an attempted coup d'état. The second is the Kurds, who in Syria wants to smoke out Erdogan from their border, and who are in Syria under the tutelage of the United States. At the same time, Erdogan just recently unbridled himself to such an extent that in the presence of Americans in Kurdish positions he declared his determination to clear these positions from Kurds. And these are not empty words. Erdogan is at war with terrorists, and if good American guys fall under the bullets instead of them, then it’s not Erdogan’s problem, but Trump’s. So will Trump withdraw the troops? 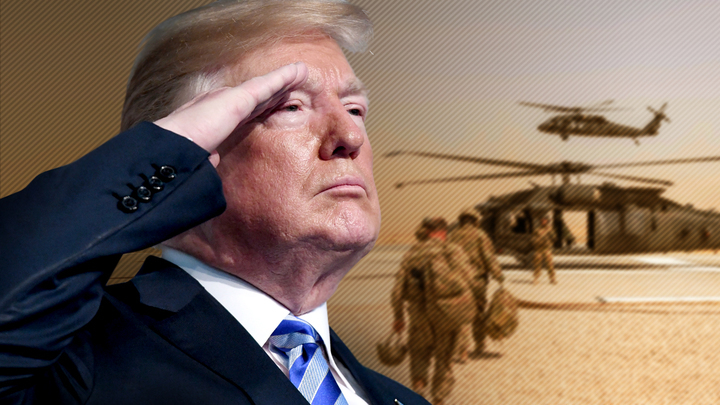 First, the US president did not specify in what volume US troops will be withdrawn from Syria. From which regions. How. Where. And here after all the mass of options! The US has a base in the At-Tanfa area. This is in the south of Syria, on the border with Jordan. Nothing was heard about the breakup of the American-Jordanian Union. Like American-English. Meanwhile, this base is formally considered common to these allies. Second, the Americans will withdraw (possibly) the units from that very Kurdish Rojava, where they are helping the Kurds to put pressure on the eastern bank of the Euphrates. But the Kurds are different. And with the specific enemy of the Turks - the YPG militia - the Americans can really break up. But they can also leave their “advisers” with the armed forces of the Kurdish-Arab coalition “Forces of Democratic Syria”. The third example. Of the 18 bases in Syria, Americans can bring everything regular to Iraq, Qatar, or even to Turkey. Did the president say anything about the withdrawal of special operations? No, it means they can be repulsed. Finally, President Trump did not say anything about the withdrawal of his allies. It should be borne in mind that throughout the entire history of the actions of the United States - both in the Middle East and in other areas - there was no such precedent that the United States would simply leave the region in which they were conducting their expansion. The withdrawal of the American military will be incomplete. According to the latest data, those of them who will carry out actions in Syria with their allies remain in Syria. And the allies of the United States are not only Kurdish armed groups, but also the Turkish military. In addition, such statements by Trump are precisely related to Turkey’s intention to launch a military operation in Syria against Kurdish armed groups. This operation will take place just in those areas from which the US military will leave. Some part of the US military will be withdrawn. But this does not at all mean that the United States will leave Syria, leave it alone and will not claim to be the ruling party of the destinies of both Syria and the Middle East. The United States will remain in the key military mini-bases that they have created in Syria. Only now, perhaps, these areas will be under the control of the Turkish military, and not the Kurdish armed formations. That is, under the control of American allies. It seems that this is the essence of Trump's statements - to stay, pretending to be leaving.